..the song is pure Dylan invention, on the face of it an absurdist assortment of images that take the listener in all sorts of directions, incorporating fragments of other songs and texts, for instance quoting from Delta bluesman Robert Johnson’s “Hellhound on My Trail”: “Blues this morning falling down like hail.” Dylan can juxtapose a reference to his own band (“I’m in a cowboy band”), to the excesses of Dylanology (“The world of research has gone berserk / Too much paperwork”)—and then throw in a reference to the traditional folk song “Frankie and Albert,” which he had covered on the 1992 anthology Good As I Been To You: “Albert’s in the graveyard, Frankie’s raising hell.” And yet it works as a song whose sorrow reflects that of the 1859 slave song whose title it takes, but is intensified by the melody, the images, and above all by Dylan’s voice in all its aged richness. I love those old piano ballads. In my hometown walking down dark streets on quiet summer nights you would sometimes hear parlor tunes coming out of doorways and open windows. Somebody’s mother or sister playing A Bird in a Guilded Cage’ off of sheet music. @#146 on my list of Bob Dylan’s top 200 songs. From “Modern Times” released on August 29, 2006 by Columbia Records. Each note Dylan reaches for and each word he sings is done calmly and sweetly, accompanied by a very creative arrangement, including a highly streamlined rhythm section (bass drum, tambourine, cymbals) and cello playing pizzicato as well as with the bow. 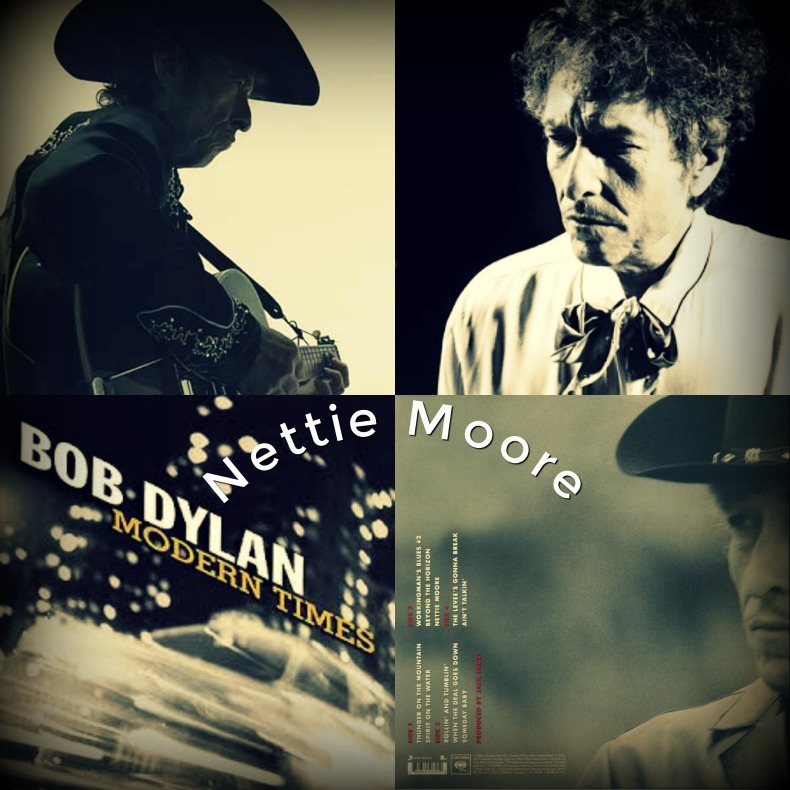 “Nettie Moore” is one of the best songs on Modern Times. It has been performed only 142 times live – last performance:Rexall Place, Edmonton, Alberta, Canada – 9 October 2012. ‘Nettie Moore’ equally implies that our man is paying for a life of sin – he may even be the ‘Lost John sittin’ on a railroad track’ in line one (another one from the lexicon, ‘Lost John’ was both the title and opening line of a well-known traditional song). 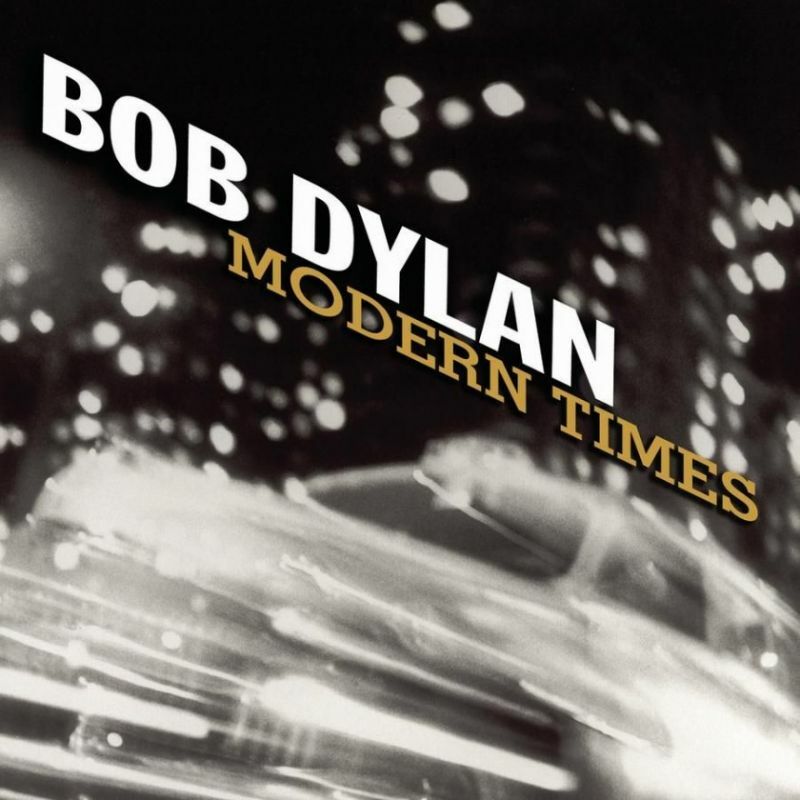 From the very first verse, where Dylan also introduces a line from Robert Johnson’s ‘Hellhound On My Trail’ (‘Blues fallin’ down like hail’), judgement and damnation straddle the land. The singer duly admits he ‘got a pile of sins to pay for’, even namechecking Frankie and Albert, characters from an infamous murder immortalized in a traditional ballad Dylan recently covered on Good As I Been To You. He suggests Frankie may still be ‘raising hell’, but the narrator himself is ‘beginning to believe what the scriptures tell’. Elsewhere he references W.C. Handy’s ‘Yellow Dog Blues’ (‘I’ve gone where the Southern crosses the Yellow Dog’)..
BigFrank given the obvious accolades you mentioned about Bob’s “Nettie Moore” and his huge fan base , I ‘d have to say you’re icy cold because that’s your persona ☹️. “So why, given its provenance, its technical virtuosity and its intellectual sophistication does this song leave me cold?